Social media web sites, especially the most popular ones, are very different in their purpose and usage; some are more for socializing, while others are more for professional connections. For your online business’ success, you have to pay attention to these differences and tailor your social media campaigns based on each site’s purpose, including appropriate content. Doing so will improve your chances of connecting with the right audience(s). Each social media site uses different means for posting content and tracking results, such as analytics and social media SEO. 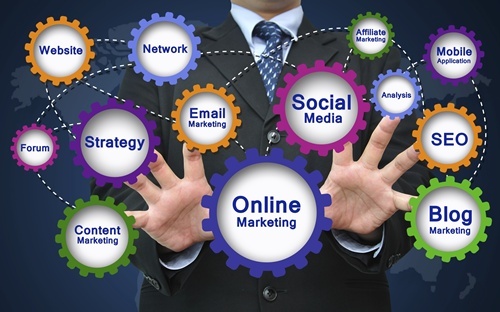 In addition, social media and marketing are being combined in new ways on a regular basis. It’s up to you to see what your options are and which will best suit your business. How to prioritize your social media campaigns should factor in with which social media sites are most popular. Facebook and Twitter are the obvious places to start, so you may want to focus your initial work towards them and work your way down to the less popular—but still effective—sites. You can’t forget images. Graphic social media sites like Instagram are great for brand-building, so if you have quality graphics or photos, upload them right away. Social media management means keeping an eye on new social media sites as they’re created. Investigate those that look to have potential to increase your online business’ success and broaden your business’ digital presence.